After making the decision to finally tie the knot, my top priority (after settling the wedding venue) was to get my skin in tip top condition. Good skin has always been the #1 reason I am so obsessed with beauty, so it came as no surprise that I am aiming to be a typical radiant bride with as natural-looking makeup as possible. But… To be natural, you need to have really good skin. This is really important. Having been under Prive previously for my fortnightly Crystal Clear Facial, my skin had obviously cleared up a lot. Thus, it is only natural that Prive’s Bridal “I DO” package for brides-to-be has caught my attention right from the start! To ensure that you will look radiant on the day you say “I Do”, all brides-to-be are recommended to start your facial/treatments 3 – 6 months prior to the wedding. Mine is in July, so I obviously do not have much time left!! My first treatment actually started late last month, in which the beauty therapist will recommend treatments that your skin will be needing most. For my case, my skin was looking so dull and lacklustre, we got started with the Laser White Facetherapy first! 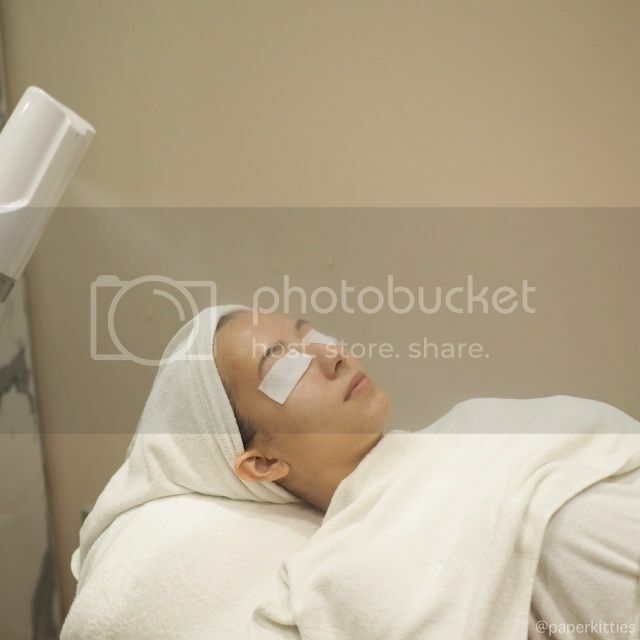 Laser White Facetherapy (U.P. $321/session, incl GST) is a whitening facial that uses a 5-step system to lighten stubborn pigmentation, brown spots, and acne scar marks for a clear, bright and uniform complexion. At the heart of this power treatment is alpha-litamin C, an antioxidant 100 times stronger than vitamin C. Your skin is deeply cleansed as powerful neuroessence nourishes and renews vital radiance. Prive will then top off the treatment with an enzyme or mousse mask to bring back the glow from a dull, lifeless complexion. As always, we’ll get started with double cleansing before having my face mildly exfoliated with a 3 minutes Fruitpeel to rid dead skin cells and soften black/whiteheads for extraction. FUNFACT: In Prive, as long as you opt for facial options, there will be extractions *hurray*. This however, doesn’t apply to treatments though. 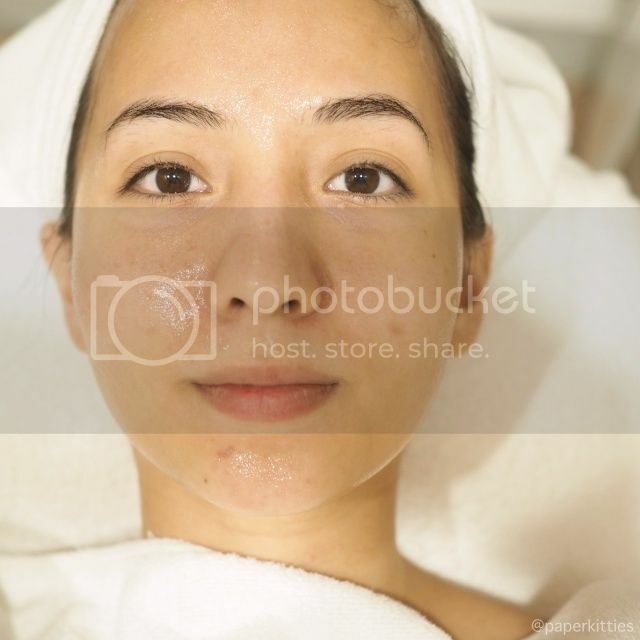 Here’s a shot of me having my face steamed so as to open up pores and prepare my skin for easier extractions. A tip to getting the best out of each facial is to religiously use sheet masks 3-4 days prior to your session, this will allow your beauty therapist to easily extract the necessary and minimize downtime. Finishing this advanced treatment with a potent whitening essence mask (Lumi Enzyme Mask) and luxurious velvety mousse mask (White Cream Mousse Mask) that work in synergy together to deliver exceptional brightening effects and protect skin from future discolouration. 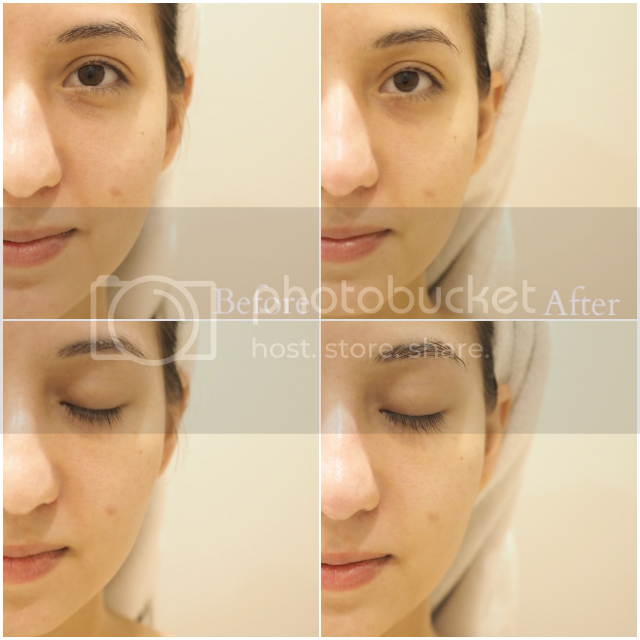 This clarifying and lightening facial treatment is therefore recommended for skin which has diffuse or localised marks or to generally lighten the skin tone, and the above are my results with zero edit! To be honest, I didn’t feel a vast difference right after the treatment. However, as the days go along, I noticed that my skin was starting to look much more radiant and brighter than it did in the past few months. It could also be the good combination of this treatment and a new skincare routine I have started (more on that later), that made the results so effective. But bottom line is, I am extremely satisfied with the results so far! Below snapshot was taken a week after the treatment, am definitely on track in meeting my skin goals. Previous Post Celebrate International Women’s Day with L’occitane! Next Post #CleanUpYourAct at Sephora now!